Do you recall the Vodafone tax issue and how it was taken up by the Corporates to bash up Indian Government as anti FIIs ? Is it a genuine case of tax payable elsewhere other than India (as contended by Vodafone) or a very deliberate case in tax avoidance ? Is it something peculiar to India because we have certain lacunas in our tax laws/implementation or interpretations which can be exploited legally or is it becoming a more universal phenomenon where other countries (which incidentally were seen supporting the cause of Vodafone when it suited them – a typical case of poetic justice) too are getting affected with huge loss of taxes and revenues? Let’s examine …..
Vodafone has been involved in a Rs 11,200 crore tax dispute in India for the purchase of Hutchison's stake in Hutchison Essar in 2007. While the telecom company contested the jurisdiction of Indian tax authorities over the deal, the income tax department slapped a tax demand notice on the company. In January 2012 Vodafone won the legal battle against the government with the Supreme Court ruling that the government had no jurisdiction to tax such deals. To counter the judgment, the government amended the Income Tax Act retrospectively to bring Vodafone-like cases under its ambit under “General Anti Avoidance Rules (GAAR)”. It has created lot of uproar and noise esp in the international market giving perhaps a false impression as if Indian tax laws are against the multinational corporations. Following up on the grievances, the introduction of GAAR has been deferred by two years (to April 1, 2015) and investment made before Aug 2010 will be grandfathered. British telecom major Vodafone is not in favour of holding conciliation talks with India over its withholding tax dispute under Indian jurisdiction, but instead has proposed they be held under a neutral authority. If the talks are held under Indian jurisdiction, the company fears if the talks fail, it might once again be dragged into litigation under the Indian legal system. And Vodafone is not the only such case in India. A spate of international arbitration notices served by foreign companies has prompted the government to draft a new model treaty that will make it harder for foreign investors to approach international courts. The reworked treaty will stipulate that the foreign investor will not be able to challenge the legality of an unfavourable verdict from the Supreme Court. Further, the investor would have to exhaust remedies under local laws before seeking international arbitration under bilateral investment protection agreements (BIPA). The Vienna Convention provides for such declaration of intent. As many as 17 companies or individuals, including Germany's Deutsche Telekom, Vodafone International Hol-dings BV, Sistema, Children's Investment Fund and TCI Cyprus Holdings, have served notice on India under BIPA, challenging various court rulings and policy measures. Apart from Vodafone’s insistence on international arbitration in its seven-year-old multi-billion-dollar tax dispute with India, White Industries Australia had won a favourable award against India. While I am no expert on taxation or on tax avoidance, what I gather is that shell companies are formed outside India to avoid paying tax here. But is this a problem confined only to India? An impression is being created, especially outside India as if Indian tax laws are over restrictive and exploitative and somehow restricting the entry of foreign investment in India. But is it the case? It is now a well-accepted fact that the multinational companies have developed an unprecedented know-how for minimising their worldwide tax pressure. During my recent visit to UK in May 2013, I had retired rather early one evening hoping for a good rest after a long day. It was then I switched on TV and happened to watch the hearing of Google over the alleged issue of tax avoidance by Google in UK on BBC by Commons Public Accounts Committee headed by Margaret Hodge. It turned out to be one of the most interesting debates I have seen in long time – the precise use of words, the scathing attack on Google by members of the committee and their knowledge levels – it was very informative and had me thinking about the larger issue of tax avoidance of global operators. Margaret Hodge, said Google ‘do evil’ is ‘unethical, devious and unethical’ and use ‘smoke & mirrors to avoid paying tax’. Mr Brittan said that there was no cover up at Google and nothing has been illegally hidden. Simply put, a company based on its business turnover makes profit and should pay profit tax to the concerned authorities in the territory it’s operating. When a company operates in more than one territory, it should pay profit tax to the respective authorities based on the respective profit in these territories. 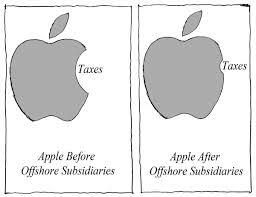 Companies, it is increasingly observed, try to offset their profits in territories where they have to pay taxes by coloring them with certain internal cost and try and shift all the profit to a tax haven territory such as Mauritius, Bermuda or Cayman Island. There is nothing illegal since these companies do so by exploiting the loopholes in the existing tax systems in various countries which are complex and without overall cohesion. And thus, these are cases of tax evasion. The expose of Google’s tax affairs, coming after revelations that Amazon had paid a fraction of its profits in corporation tax, have increased the perception in UK that the HMRC is ‘operating by 20th century tax rules that need to be urgently updated’. Even though the tax affairs of companies such as Apple, Microsoft & Starbucks are scrutinized by UK tax authorities, the UK PM has recently written to the President of European Council Mr Rompuy that the “loss of revenue resulting from tax evasion and aggressive tax avoidance is staggering”. The recent decision of Starbuck to pay an additional $30 million to UK authorities had raised hope for similar action by other companies but that doesn’t seem to be forthcoming. Interestingly, Google is not the only major company to have caught the attention of other Governments. Tax structures used by Amazon to route billions of pounds from sales to British customers through Luxembourg, paying negligible UK tax, are among a series of international loopholes earmarked for closure in a programme of reforms backed by G20 nations. The "once-in-a-century" move in the shape of a 15-point action plan, which has been produced by the Organisation for Economic Co-operation and Development (OECD) club, was a "major breakthrough" and was "at the heart of the social contract". Osborne, the UK chancellor recently said that "People and companies have to pay the taxes that are due, it's the only way to operate in a fair and competitive society … Our message is clear: everyone must pay their fair share of tax." In recent times, the French tax authorities have aggressively challenged the tax claims of digital businesses such as Google, Microsoft and LinkedIn, raiding their Paris offices. 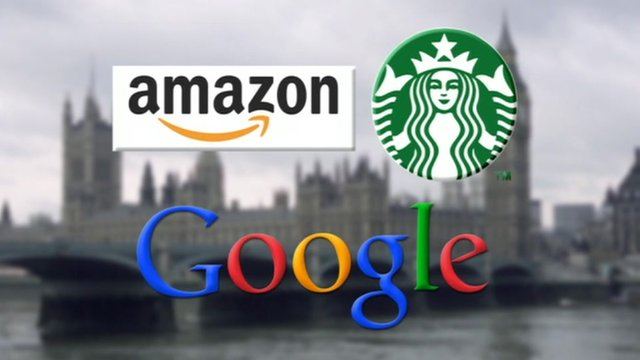 The non-international companies in the UK and elsewhere have become increasingly vocal in their attacks on the unfair tax advantages afforded to multinationals such as Amazon. Some of Britain's largest high-street chains – including Sainsbury's, John Lewis, Dixons and Mothercare – have all called for a crackdown on Amazon's tax arrangements. These revelations of multinational companies doing huge business in a country and virtually not paying any corporation tax has provoked some concern in the respective governments that something needs to be done. In this era of liberalized cross border trade and free capital flows, MNCs find themselves in considerable freedom to choose where they pay tax on profits. There are corporations such as Google whose commercial value is derived from a piece of intellectual property such as a search engine algorithm or a drug patent and they are thus able to register their profits in tax havens. This is how it works – A MNC registers its intellectual property in a subsidiary company based in a tax haven like Bermuda or Mauritius. This subsidiary then charges another subsidiary operating in a big country like UK or India a massive fee for the right to use their intellectual property. Any trading surplus in these countries is thus offset by the cost of the fee while profits keep accumulating in tax haven the group company. National Governments are trying to stop this egregious ‘profit shifting’ on their own but is proving to be a herculean task in the light of very complex global tax loopholes. A natural solution is to have an international agreement by all countries to tax the profits of multinational firms collectively and divide the revenues based on the amount of business done by these companies in various territories. American states have long operated a system known as “apportionment”. It may sound difficult but in the long run and in the wake of very widespread tax avoidance by MNCs, this sort of arrangement is perhaps the only viable solution. The solution is for Governments to reduce expenditure and provide a bigger bang for the buck it taxes. As it stands Governments are bottomless pits which no amount of money can fill. Taxation reflects government efficiency. High tax regimes are inefficient and hence noncompetitive. The solution you are proposing is a sort of 'cartel creation'. Market forces will crash any such cartel. Rationality in taxation is the only way. In my view - The current pressure on the rupee is totally because of retrospective Vodafone taxation. Business confidence crashed and foreign investments crashed. Investment and capital account surpluses can no longer offset revenue (trade) account deficits. Tough Luck for governments. 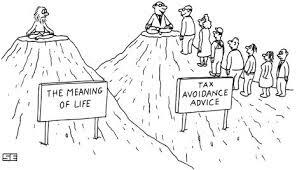 "Tax Avoidance", though legal, has severe economic repercussions that are difficult to digest by developing countries. While it is politically easy and convenient to label it as "transgression of law" by corporates, a simple introspection will reveal that all is not in order "at home". Innumerable and cumbersome laws, political instability, constant meddling with tax rates and policies, growing muddle in the bureaucracy etc., have all contributed to this state of affairs. Making laws really simple and understandable, levying single and stable low rate of tax without any exemptions, removing uncertainty and bringing in transparency and accountability in governance will help drastically reduce incidence of tax avoidance.